Team were called out by the police to carry out searches in the Cleator, Longlands Lake area for a male in his early 50’s who had been missing for 3 days. Around fifteen team members from Wasdale MRT, supported by four SARDA (Lakes) search dogs and members of the Cockermouth MRT spent the day looking for the missing person. At 4.00 p.m. a further call came in for an injury on Scafell Pike. Cockermouth MRT continued the search whilst Wasdale attended the second incident. Incident started at 08:50. 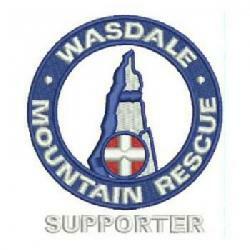 There were 15 Wasdale team members involved and the incident occured at NY21920 09505 (478m).